A Custom Fitted Acrylic Bathtub (or tubliner) is a new bathtub formed from a sheet of ABS-backed acrylic that is designed to be installed right over your existing pressed steel or cast iron bathtub. One Day Bath has collected the largest number of tub molds in North America, representing over 1,500 tub styles for a perfect fit every time. Utilizing a state of the art exclusive Tub Identification software, One Day Bath accurately identifies bathtub styles with a 99.8% success rate! After your tub is accurately identified, One Day Bath will then thermoform an exact replica of your tub in 1⁄4” DR acrylic. 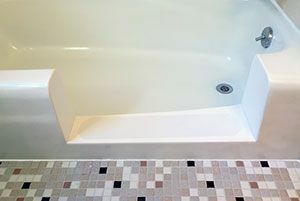 The custom fitted bathtub is then cut to fit your walls and is installed right over your existing tub, eliminating the costly demolition normally associated with tearing a tub out. The entire process can be completed in as little as one day with no mess, at a fraction of conventional remodeling. The custom fitted acrylic bathtub liners are not only aesthetically beautiful, but are non- porous and easy to clean. All custom fitted bathtubs are installed and sealed with Lux-Bond®, the exclusive adhesive system that hardens like a rock for a permanent fit.  Additionally, the acrylic material is guaranteed for the lifetime of the product not to dent, crack, or chip under normal use. 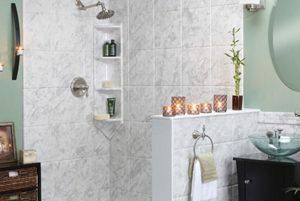 If you’re looking to update your existing bath or shower One Day Bath has a customized solution that is attractive, durable and will save you time and money. Our bathtub liners are a custom made liner that literally fits right over your existing bathtub. They’re made from acrylic and come in a wide range of colors, so they can fit in with virtually any new decor ideas you might have for your bathroom. They are easy to clean, difficult to damage and last forever. A bathtub or shower liner and tub surround fits right over the existing tub and walls and doesn’t require us to remove anything but the knobs on the plumbing fixtures. You can still use all the existing plumbing and the whole thing is usually installed in a day. Best of all no demolition or mess. Our factory-trained professionals will measure your existing tub or shower to identify the exact make and model. That information is sent to the factory to create a liner that fits your existing bath like a glove. Our industry-leading, professional installation takes just one day for most applications. Watch One Day Bath Transform This Tub Liner! Great job gentlemen was everything I hoped for. It was a pleasure doing business with you. Charlie, We are very pleased with the work done in our bathroom. Rick did a great job and was very courteous and professional. We received several quotes that would have been very expensive and then I found your company to have our bath/shower reglazed and it looks brand new and saved us a lot of money. Thanks! I want you to know without hesitation I would highly recommend your work and company. Paul, the information you provided on our original conversation about the work your company would do on this project was very helpful. This made our decision easy to proceed with the project. Your work met or exceeded all our expectations. A special thanks to Rick for the great job he did in changing our tub/shower configuration. He is an asset to your company.